Trojon Fencing and Fabricating Pty Ltd in Darwin, Northern Territory can manufacture regulation pool and garden fencing in 16mm and 19mm steel tube to your specifications. Standard Heights are: 1200, 1500 and 1800mm. Panels can be staggered, arched, dipped or curned. 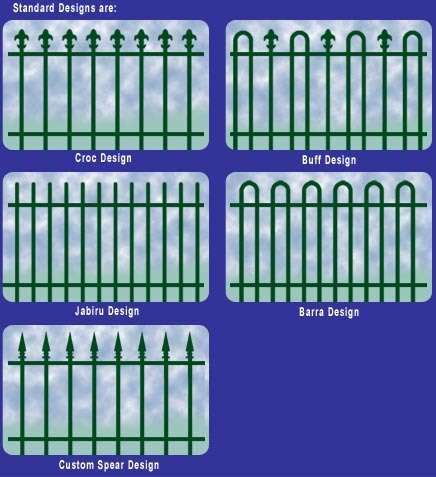 Custom spears or balls can be used to produce unique fences or gates.